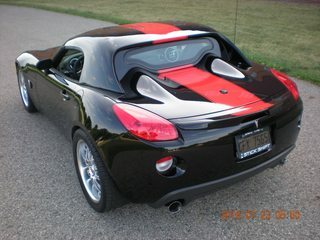 Saturn Sky Forums: Saturn Sky Forum > Saturn Sky Discussion > General Saturn Sky Discussion > Who here still has the Smoothline Club Racer HardTop? 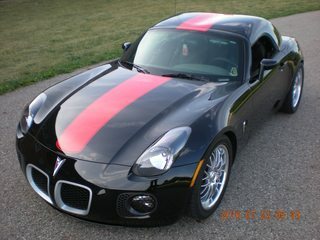 Who here still has the Smoothline Club Racer HardTop? Haven't seen much about it lately. Just wondering if current members still have theirs. Also, if someone lives fairly close to me and wants to sell theirs I might be interested, but first I just want to see who all still has one. Where you mention the 'fairly close to me' in your post, can easily be identified by adding your choice of state, city, etc. location below your name (handle) of your post. Then your location is shown with each post/reply. In the Red banner above, click on TOOLS, then select User CP. Seems to me ChopTop, frequently on this forum, has one IIRC. Ugh!!! You are so right!!!! For some reason I thought I had that added. Anyway. I'm in Harrisburg Pa.
Do yourself a favor, buy one sooner rather than later. I looked for two years on the Solstice forum and never found one. I've had mine for about four years now (Club Racer) and have seen two for sale in that time. The Club Racer is Sol/Sky specific due to their humps being different. But I believe the Lemans will fit either car as the back window extends almost to the end of the humps. 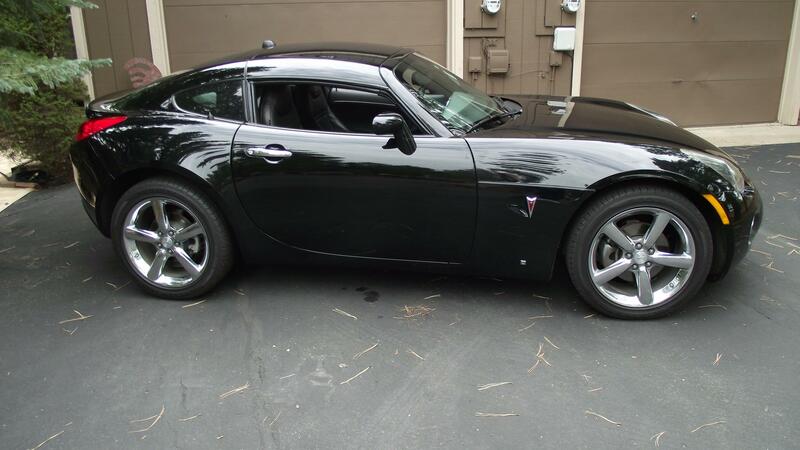 Weird as it is, I just found a Sky with a hardtop that is for sale tonight, but the owner is selling the car with it. I suppose you could contact them to see if they'd be willing to sell it separately. Though it sounds like you're more interested in how they fit and look than buying one at this point. Regardless, used ones come up for sale very seldom. Last edited by ChopTop; 08-11-2018 at 07:29 AM. I just placed an order for a carbon fibre one. I gotta say it's kind shady. I was talking to an old guy who basically just wrote my information down. Told me I'm looking at 12 weeks. They really need to perfect their processes. I also only paid half of it. No way in hell I'm giving more than that to have to wait that long. 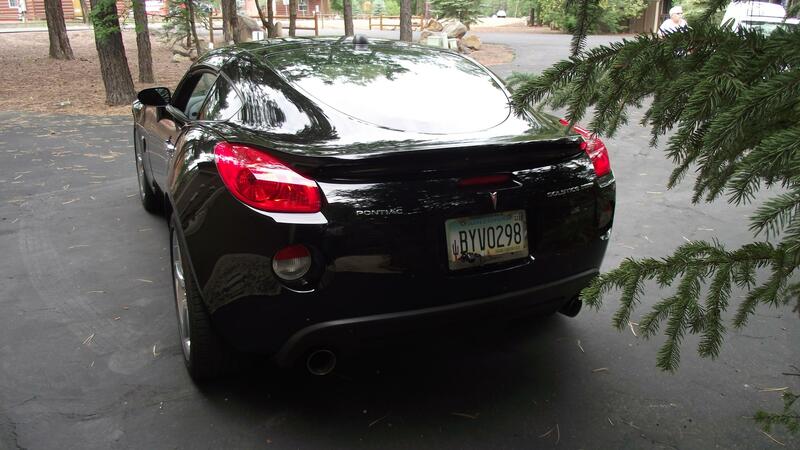 It took me around three months to receive mine, or I should say receive someone else's hardtop. When it was delivered the driver suggested I check it out before he left. Good thing I listened to him because it was a super small hardtop, so I refused shipment and called Smoothline and left a message. The next day they called and explained that two hardtops had been shipped out on the same day and that the wrong shipping labels had been put on the shipping boxes. Two weeks later and I had my hardtop. BTW, mine isn't water tight, one reason is because I haven't adjusted the side windows to seal the hardtops side window against the weatherstripping. I figure if I have to adjust the windows to the hardtop then I'll have to turn around and readjust them to the convertible top. Also, when washing the car I do avoid spraying water directly at the side windows & back window because water has seeped under the rear decklid weatherstripping into the car. I have the front turnbuckle and two rear turnbuckles turned as tight as I can. I guess what I'm saying is considerable time may have to be spent on adjusting the top to ensure that the top is weathertight. Couple of my favorite pics. Do you have side view pics? Actually what I'm planning on doing is keeping it on forever. I'll probably take the convertible top off. After I have it for a while I'm going to take it to a creative body shop I know and have them cut it into three sections. The back section will have the buttresses and the plexiglass the middle section will have a metal reinforcement put in and the front section will be able to be taken out like a targa top. Weather stripping will be put in between the sections then it will also give me access to the trunk. I'm surprised no one else has thought to do that yet. I did! Here is my Targa top (30"x50") with the top in place.
? I'm having a hard time understanding what you mean here? You can take your car to Rod's Road House on Eisenhower Dr...lol. They have a car show there at least once a month. Last edited by marlboromike; 08-03-2018 at 05:29 PM. I see what you are saying now. That looks pretty good! Damn! Rods? You must be from around here! We should meet up!